Are You Looking For An Air Conditioning Company in Cape Coral, FL? Every long-term homeowner in Cape Coral is going to someday be faced with the need to schedule air conditioning installation, for their home or business. This is the type of work you can confidently leave to our experts here at Bowen Cooling for the best in service results. We all know just how vital it is to have functional air conditioning here in Florida. That makes it just as important to know of a reputable Cape Coral HVAC contractor to contact when you are in need of service. Many homeowners call and complain about their system simply freezing up. This is often the result of trying to turn the thermostat down too much, too rapidly. It can get hot here quickly and it is tempting to try to immediately turn your household into a freezer. A well-maintained air conditioner can provide a quality coolness to your home, but at least try to get to that desired temperature more gradually. 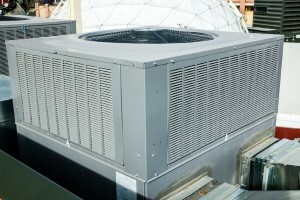 Refrigerant leaks are also an issue, partially due to the amount of use air conditioners get in this area. A common mistake homeowners make is ignoring the fact that their AC starts not cooling quite as well. The moment you notice any type of change in your system's ability to cool it is time to call in a pro. Eventually, it will stop cooling completely, so better to catch it before that happens. Don't hesitate! Contact us for your Cape Coral air conditioner repairs the moment you notice a problem exists.